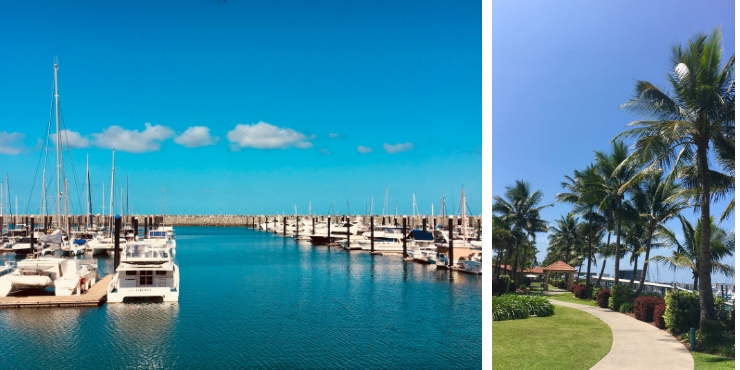 When we relocated to Australia from the UK our first destination was Mackay in Queensland. To be honest when I saw the job advertised I had literally never heard of it so the first thing I did was look on a map! 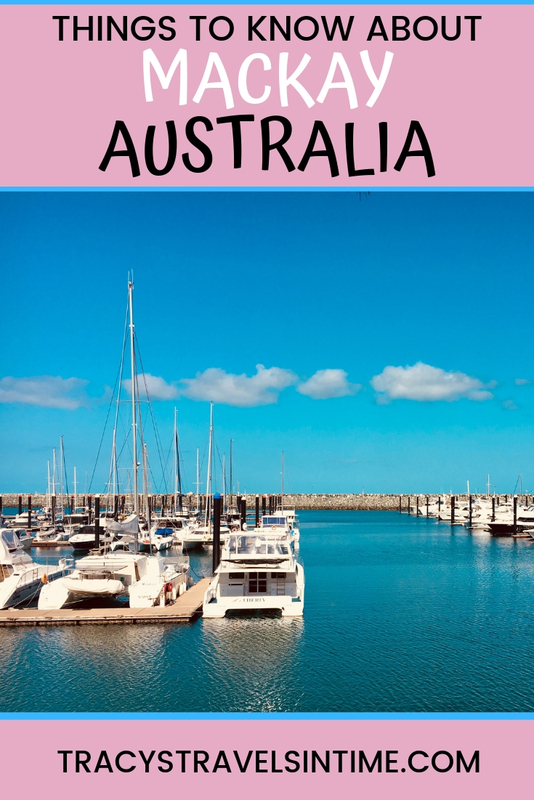 We spent 3 1/2 months living in Mackay and throughly enjoyed our first experience of Aussie life. 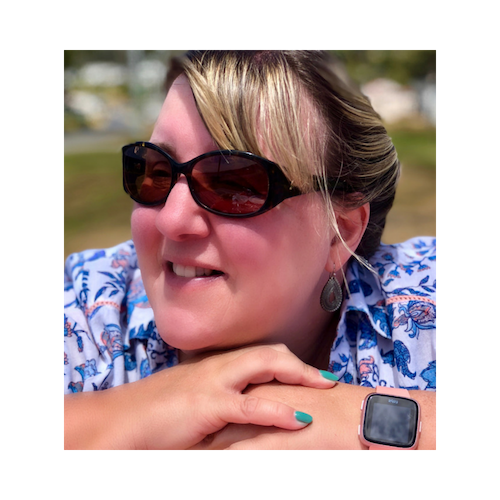 I was thinking if I was moving to Mackay today what are the things I would like to have known about this Queensland city and region before I arrived? The result is this post! I hope it is helpful for anyone thinking about making the move to Mackay or in the process of actually relocating. Good luck and please feel free to ask me any questions either at the bottom of the post or in my Facebook Group! Mackay is built along the bank of the Pioneer River (one of the few remaining blue rivers in Queensland). 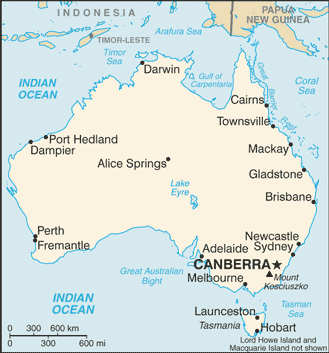 It is located 970 kms north of Brisbane and 740 kms south of Cairns. The city was founded in 1862 when a small settlement was established on the river. The Yuibera (Juipera/Yuwibara) people were the most dominant people in the area when Europeans arrived. They are the traditional owners of the land. In 2018 the population of Mackay was approximately 125,000. Main industries in the area are sugar cane farming and mining. The main hospitals in Mackay are the Mater Misericordiae Hospital and Mackay Base Hospital. 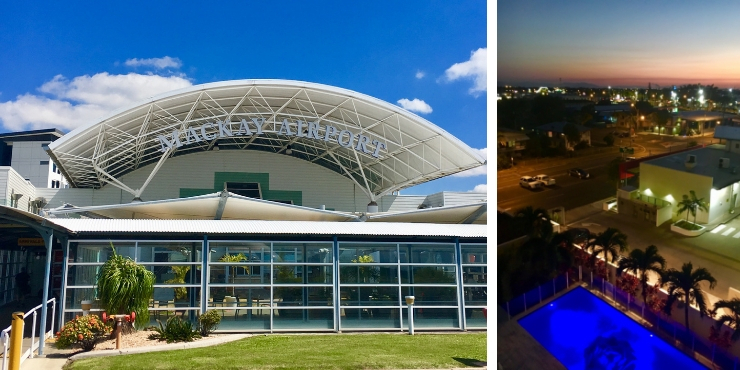 Mackay has a small airport with daily flights to and from Brisbane, Cairns, Townsville and Rockhampton. Airlines that use the airport include Qantas, JetStar and Virgin Australia. Unfortunately if you want to fly to Perth. Melbourne, Sydney or Adelaide you will need to fly to Brisbane first. The flight from Brisbane takes just over an hour. The “Spirit of Queensland” rail service travels from Brisbane to Cairns 5 times a week. 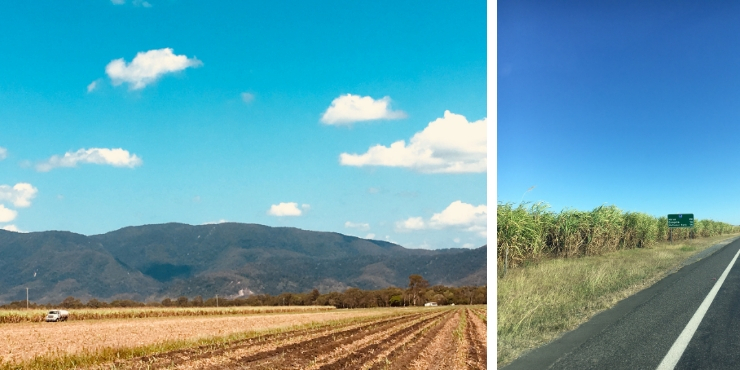 The road trip from Brisbane to Mackay takes approximately 10 hours along the Bruce Highway. The drive between Mackay and Rockhampton is not the most scenic though! If you are planning to drive up I would recommend that you avoid driving at dusk or dawn when kangaroos and wallabies are most likely to be out and out. Mackay has a humid sub-tropical climate of hot wet summers and dry, mild winters. If you love living in shorts this is the place to do it! With average temperatures of 22 in winter and 30 in the summer those long dark cold UK winters will be a distant memory. So too however will be the light nights of summer. Queensland does not observe daylight savings. The sun sets around 5:30 in winter and 6:45 in summer. It gets very humid in Mackay so air conditioning in your home (at least in the bedrooms) is an essential. With skin cancer in Australia the highest in the world it is important to be sun aware. Always wear a hat, use suncream and carry a water bottle with you. Mackay does experience severe thunderstorms which can be quite something if you have not experienced anything like it before. You can lose power when they hit too. Just make sure any outside furniture, cushions, BBQ etc are secure. Cyclones are also an issue and it pays to be prepared in the event of a cyclone. We had a cyclone shelter in the house which was stocked with essential supplies. The last major cyclone to hit the area was Debbie in 2017 with major flooding across Mackay. Prepare an emergency kit which includes a torch, spare batteries, a battery radio, water, tinned or dried food, portable stove, matches, cooking utensils and implements, a first aid kit. For further information on being cyclone ready check out the Bureau of Meteorology website on this link. Mackay Marina – expect lots of sunshine! AUSTRALIAN SNAKES AND OTHER MINI BEASTS! Although many people in Mackay have only rarely if ever seen a snake I had a close encounter in the first month. Although the snake the dog decided to argue with was a harmless tree snake I would always stay well clear until you have a professional identify the type. I have even seen a hawk carrying a snake away from a cane field in its talons. You may also see dead ones on the roads especially out towards Eungella. 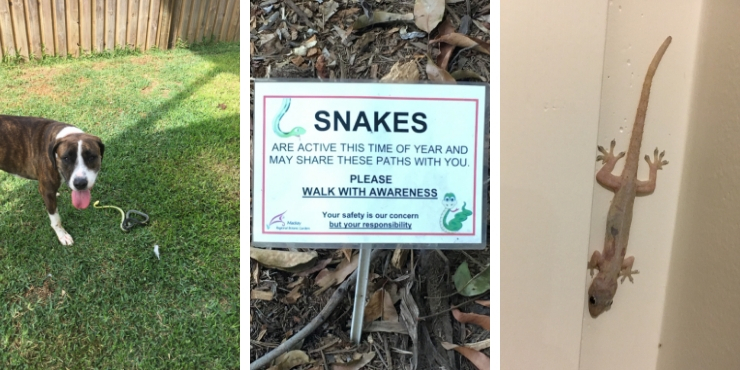 If you visit the Botanical Gardens there will be signs to warn you to be careful of snakes. I believe a man was bitten by an unidentified venomous snake at the gardens fairly recently with non fatal consequences. There are 30 species of snake in the Mackay region with a number of these extremely dangerous including the Eastern Brown and Coastal Taipans. I found the Facebook Group “Snakes of the Mackay Region” really useful and they responded very quickly when I needed help. You will also see lots of harmless ghekkos, lizards, spiders around. When it rains cane toads will make an appearance! Although not declared as pests in Queensland (they are in other states) be aware that they are poisonous so keep your dogs away from them. There are lots of opportunities to see native Australian wildlife in the Mackay region. As well as lots of exotic birds including gallahs, parakeets, and rainbow crested lorikeets there are the annoying plovers and magpies who will swoop you during the spring! For kangaroos head to Cape Hillsborough. You need to be up very early though as they head down to the beach to feed at dawn. Its a fantastic experience though and I would highly recommend it. 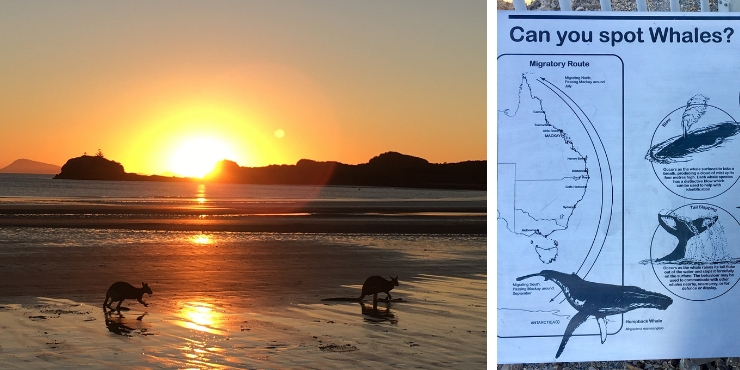 You can read more in my post all about the kangaroos at Cape Hillsborough. For platypus head to Broken River in Eungella National Park. It is quite easy to spot them but remember to be as quiet as possible! Read more about how to see the platypus at Broken River! To see the humpback whales that migrate from the Antarctic to the warm waters of the Coral Sea to give birth between July and November head to Slade Point. Whales have also been known to enter the harbour at the Mackay Marina. Take my quiz and see how much you know already about some of the weird and wonderful wildlife in Australia! Wallabies at Cape Hillsborough Can you spot the whales? 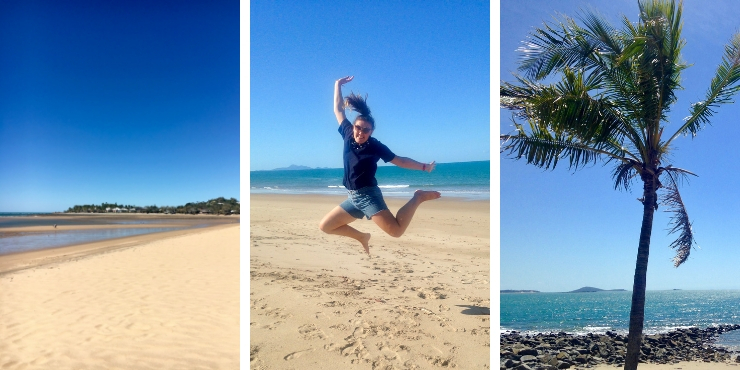 The beaches are spectacular around Mackay and with 31 to choose from you are spoilt for choice! 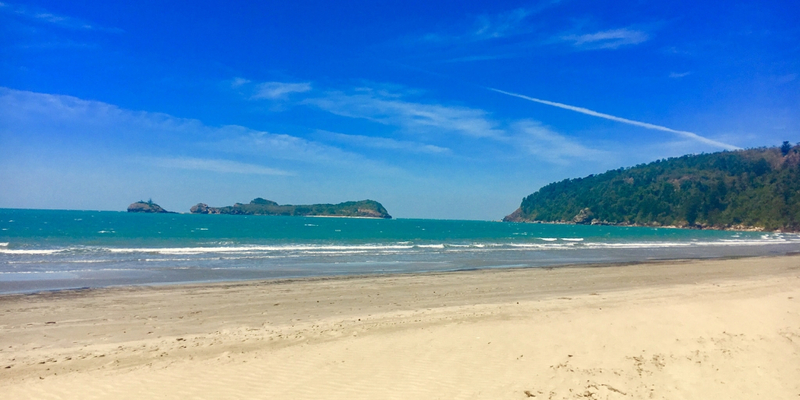 The Northern Beaches of Bucasia Beach, Dolphin Heads and Eimeo Beach were our favourites. Be aware if you do head to the beach of the following! Stingers – The Irukandji jellyfish and Box jellyfish can be found in the waters off Queensland during stinger season (October – April). If you are going to swim it is essential to wear a stinger suit. Crocodiles – Although rare crocodiles have been seen around Mackay beaches. There are signs to warn visitors of the danger. If the beaches don’t appeal for a swim then head to the Bluewater Lagoon. This is a free waterpark comprised of 3 lagoons, slides, waterfalls and a children’s playground. The lagoon is open from 9 – 5:45 from September to March and 9 – 4:45 April to mid-July. The Bluewater lagoon is available if you don’t fancy the beach! 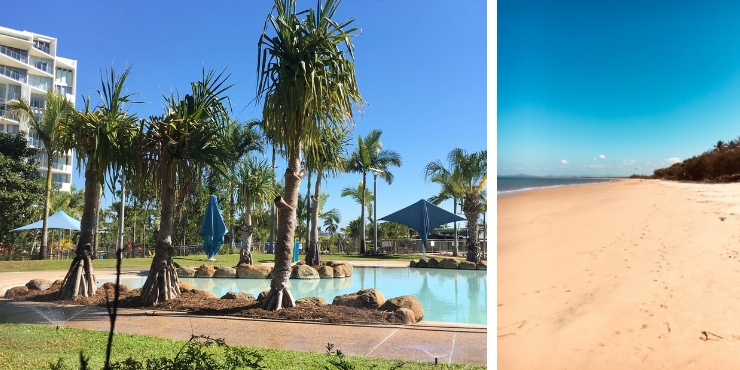 If you are looking for a weekend break from Mackay I would suggest driving up to Airlie Beach for the Whitsundays or Bowen. Bowen itself is quite small but has some beautiful beaches. The Whitsundays are a must-visit. Spend some time on Hamilton Island and Whitehaven Beach and enjoy the Great Barrier Reef. Expect to see fields and fields of sugar cane! Sugar cane is the main industry in the area which has earned it the title of the “sugar cane capital” of Australia! Look out for the cane trains moving the cane around the cane farms when they start cutting. Learn all about the process of making sugar from the cane at the award winning Sarina Sugar Shed. Horse races are big news in Australia and even bigger new in regional cities and towns across Queensland! 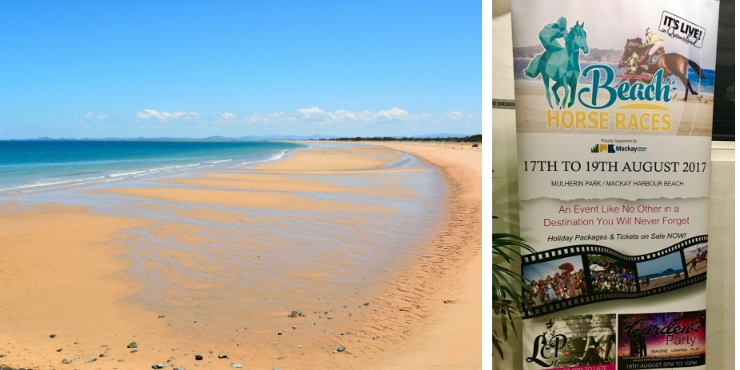 Mackay holds its annual Beach Horse Races over 4 days in August at Harbour Beach. Other shopping centres are the Mount Pleasant Centre (it has a K Mart!) , the Sydney Street Markets in East Mackay and the Parkside Plaza in West Mackay. There are not many shops in the CBD though there are banks and some great places for lunch. Also check out the art-deco inspired buildings in Mackay city centre. All the major fast food chains can be found in Mackay including McDonalds, Subway, Domino’s Pizza, KFC and Hungry Jacks. I have a more general post about shopping in Queensland which may also be useful to read before you arrive. Quick note on buying cars – we didn’t have a great experience in Mackay and paid a lot more than we probably should have. I would recommend hiring a car and visiting the various car dealerships before taking the plunge. Or buy one in Brisbane (it will be cheaper) and drive it up! 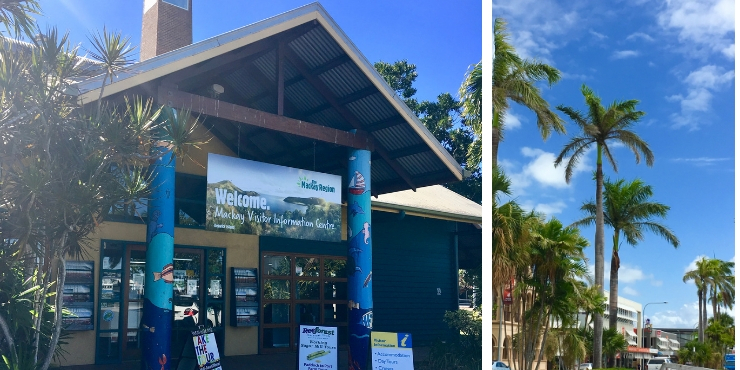 If you are moving to Mackay do drop into the visitors centre on Nebo Road which is open daily from 9:00 – 17:00 Not only are they a fountain of knowledge about the area but they also have relocation packs which are really helpful! Arrange to pick up a car from the airport. There are lots of firms to choose from. 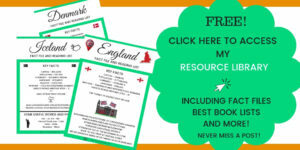 If you are arriving in town when the horse race or any other sporting event is on make sure to book well ahead of your arrival. Most cars in Australia are automatic. There is only one taxi firm in Mackay. There are plenty of short term accommodation options available. We stayed at the Lanai Apartments near Canelands for the first week. There are lots of motels/motor inns along Nebo Road which are slightly more budget friendly. 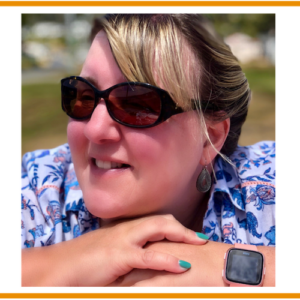 If you are on Pinterest please save a pin below!